Online casinos since their inception have faced countless and stiff opposition from operators of the traditional brick and mortar casino centres. However, recent technological advancements all point to the fact that the online casino world is really evolving. Just about 27 years ago, the first online casino sites were created amidst opposition from very influential people. Fast forward to the present day and the opposition is gradually waning down as the online casino industry keeps on gathering momentum. The tremendous changes being experienced in the online gambling industry are very clear when one plays on sites such as the Online Casino Canada. With the various location-based technologies like Global Positioning Service (GPS), it is now easier for online gamblers to engage in competitive gambling activities with other online casino players. This location based gambling technology has helped in eradicating the boredom that was once associated with playing online casino games since they were always between a player and the house. Moreover, another technological development that has given online casinos the edge is Virtual Reality (VR) techs. In an article on CNBC, Lauren Foye, a Report Author said, “These will be coupled with niche clientele, often high-rollers, thereby resulting in comparatively large average wager amongst these early adopters”. VR simply allows players to be able to connect in real time whilst gambling online. Players are therefore able to interact with each other even though they may be located several thousands of miles apart from each other. Aside virtual reality and location gambling, there is also the issue of big data which has made it possible for players to track their playing patterns in order to win more. 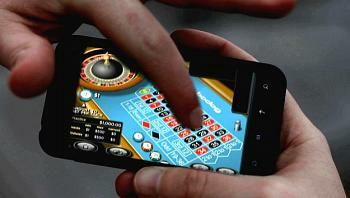 These are just some of the technological inroads being made into the world of online casinos. Whilst the opposition to the operation of online gambling sites still exist, it is only a matter of time before online gambling sites finally triumph. Critics have always been quick to point out that the online casino world is always prone to the issue of players getting scammed by hackers. This has been true for some time but the latest technologies being developed on a daily basis has helped a lot in curbing the problem of players getting scammed. Security measures on online casino sites are now tighter than it was before and as time goes on playing any online casino game is going to be safer than any of the traditionally based casino centres. Vijay Prabhu, a writer on techworm.net once wrote in a blog post, “For those who are old school, this technological advancement moving into the future will most likely end up also transforming the traditional casino experience as well. Whether technology takes over and just how advanced online games actually get no one can really say, however, the future is bright for the online casino world, and it’s largely thanks to technology”. Within just about 27 years after its introduction, the online casino world has been transformed being recognition and from the look of things, it can be confidently concluded that this is just the beginning. Despite the disadvantages that are claimed to be associated with the online casino world, the merits that it brings far outweigh its demerits. Looking at the achievements that the online casino world has been able to chalk within this short period, one can boldly say that technology has really changed the online casino world for good.